It wouldn’t be surprising to learn that you believe that all residential roofs are constructed from the same material. Indeed, the most commonly applied roofing materials for residential structures are asphalt shingles. Nevertheless, there are a wide variety of materials that are used in the construction of residential roofs each with distinct pros and cons. Whether you are replacing an existing roof or considering the best material for a new residential building, it’s worth your time to learn a little more about the most common materials for residential roofing. In this article, we’ll discuss the 5 major residential roofing materials and their strengths and weaknesses. Yes, asphalt shingles are the single most common material used in residential roofing in North America today. They are inexpensive, easy to install, feature effective durability, and easy to maintain. 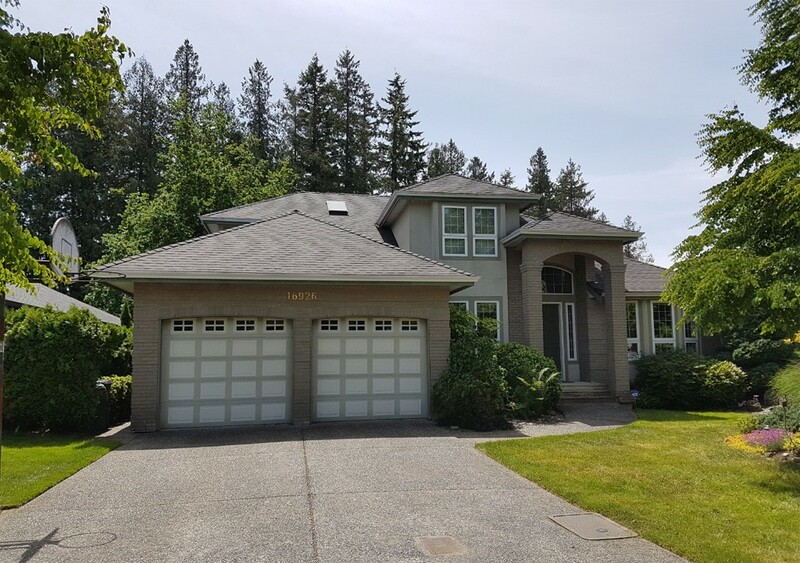 Additionally, because asphalt shingles are available in a wide range of colours, homeowners can typically find something that is aesthetically pleasing for their home as well. On the other hand, compared to other roofing materials, the lifespan of asphalt roofs tends to be limited. Another drawback is that they are not particularly energy efficient as these shingles direct heat into the structure below. Still, as an affordable roofing material that lasts around 20 years, asphalt maintains its dominance in the North American residential market. Wood shingle roofs are often preferred for their aesthetic, but they are also very durable and provide excellent insulation. Depending on the climate of your region, wood shingles can be prone to rot, splitting, and mold – so they are often not the first choice in wet climates. Similarly, unless they are coated with fire retardant, they are susceptible to fires. Wood shakes tend to be inexpensive and can last up to 30 years so they are also a popular choice. Steel, zinc, stainless steel, copper, and aluminum roofs are a great choice because they stand up very well to all manner of inclement weather. They look great, last longer than asphalt or wood shingles, and they are lightweight. On the other hand, metal roofs can be quite expensive and may or may not provide efficient insulation. These roofs are available in a range of colours and styles and offer superior durability by resisting rot, fire, and even damage by insects. While these materials tend to be heavy, they also stand up well to strong winds, provide excellent insulation, and reflect heat. With a much higher cost than other roofing materials, it’s not surprising to learn they tend to last longer – up to 40 years or more when installed properly. Increasingly, synthetic roofing materials such as plastic, rubber, and polymer are breaking into the residential roofing game. Designed to look like natural materials such as wood or slate, synthetic roofs are less expensive, easy to maintain, and durable. With costs similar to metal roofs but lifespans of 50 years, they are certainly a attractive option; however, quality control can be a problem with synthetic roofing manufacturers so always consult with a qualified roofer to choose the best products available.